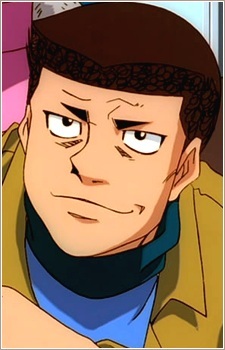 Aoki was a punk from his childhood up through high school, at which point he encountered, fought and got beat down by Takamura Mamoru (who was then a middleweight with two wins under his belt). This loss motivated him to quit school along with his close friend Kimura Tetsuya to become boxers at Kamogawa gym. Although their initial goal was to land a clean hit on Takamura, they grew to love boxing and develop their own skills. Aoki became a clownish boxer whose signature techniques, the Frog Punch and Look-Away, eventually led him to a draw in a Japanese title match with then-champion Imae Katsuka. Currently in the series, Aoki has an ongoing rivalry with Papaya Dachiu, the lightweight champion of the Philippnes, with whom he has drawn two consecutive matches.